This is the seventh newsletter send by the Tolkien Library. It summarizes the events of what has happened on the site in the last few months and brings the latest news. These letters will be sent once in a while and will feature all changes and updates to the site. Every week I'm browsing the internet looking for rare Tolkien books. Signed Tolkien books are especially watched closely and sometimes a lot of e-mails are send around to ask opinions. Buying signatures is a perilous business at the best of times, and one can never be sure the books for sale are not fakes. Also there are numerous sales of signed cut papers on the market; especially these are mostly fakes. This article will show more insight in Tolkien signatures. The first part will cover facsimile signatures (many thanks to 'Neil Holford' from Tolkienbooks.net for letting me reproduce his images and work further on his article), the second part will tell us some more about buying authentic Tolkien signatures and give examples of fake signatures. Read the article here. After a fantastic 2005, celebrating the fiftieth anniversary of "The Lord of the Rings", we saw some nice publications in the end of the year. Some are noteworthy and should be in any good Tolkien collection; I remember "The Smith of Wootton Major - Extended Edition" by Verlyn Flieger, "The Lord of the Rings Sketchbook" by Alan Lee, the revised edition of "Father Christmas Letters" and in December 2005 there appeared a lovely book "The Art of Ruth Lacon". Now let us have a look what 2006 will offer us. 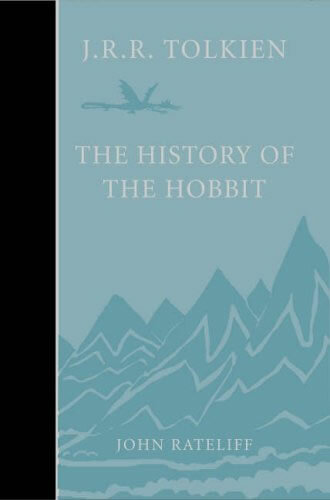 For sure it will again become a fascinating year in the field of Tolkien related literature. I'll try here to summarize all the books we will have to look out for this year. The Imperishable Flame is the first annual awards given by the North East Tolkien Society. There are three categories; an award for who contributed the most to Tolkien Studies in 2005, an award for helped create something Tolkien-inspired, and a Tolkien Fan Appreciation award where you might see a familiar website. Anyone can vote via the right side of their website and the results will be announced at the Gathering of the Fellowship festival. Read the full article here. We are working on several articles which will appear soon. Next to this there will be a redesigning of the site; we hope to make the site even better and much more practical. A lot of preparation is still going on but we can already promise it will be a very big improvement. The Tolkien Library has up for sale some very nice Tolkien books, ranging from first edition Hobbits, US and UK Lord of the Rings, limited and signed sets. More books will be added next weeks. Keep an eye on the book sales when you can. Some opportunities will not return again! 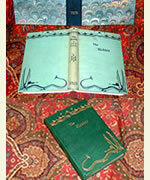 Check the rare Tolkien books up for sale here.